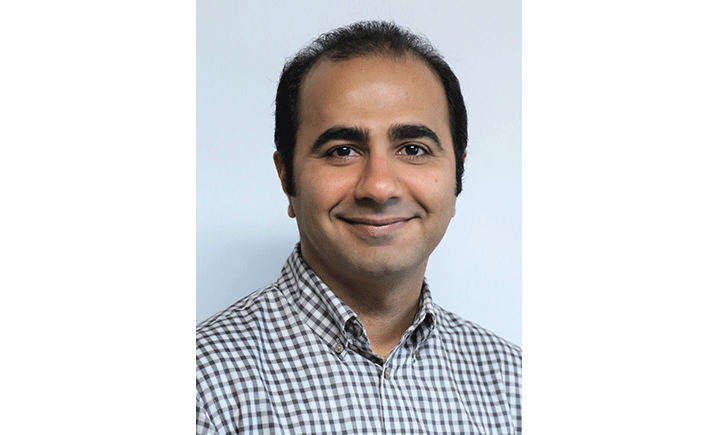 Graduate student Mehdi Boroumand will receive a Graduate Student Award for Excellence in Research for his novel combination of artificial intelligence, steganalysis and forensic analysis. Graduate student Mehdi Boroumand is working on his PhD in electrical engineering. Mehdi Boroumand is a PhD student studying electrical engineering who recently won a Binghamton University Graduate Student Award for Excellence in Research. The award is in recognition of his research on detecting covert communications in digital images that Boroumand has worked on with distinguished professor Jessica Fridrich, who nominated him for the award. Boroumand’s research used the tools of machine learning to build a new network architecture that can find the presence of hidden messages in digital images that are often used in covert communications as a cover medium. Steganalysis tries to detect images embedded with hidden information, and digital forensics tries to distinguish between images that have been manipulated and authentic ones. “Deep neural networks have had stunning success in many fields such as computer vision and natural language processing, and we successfully utilized this powerful machine-learning tool for our research,” said Boroumand. Boroumand went above and beyond as a graduate student, which is what helped him win this prestigious award.